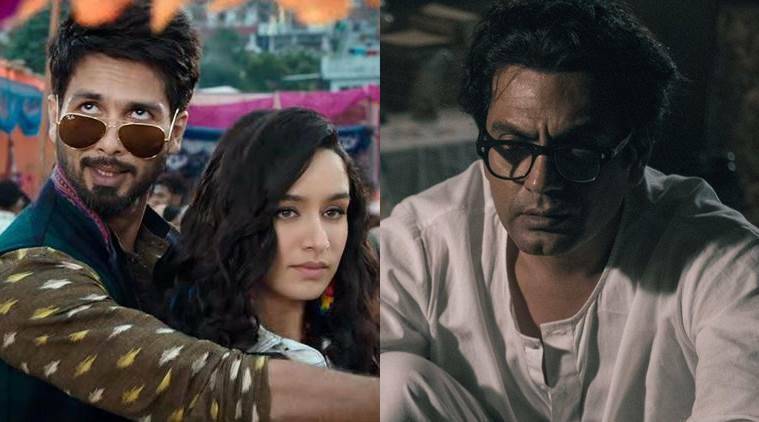 Batti Gul Meter Chalu and Manto movie review and release live updates: Here's what celebrities, critics and fans are saying about Batti Gul Meter Chalu and Manto. Batti Gul Meter Chalu and Manto movie release LIVE UPDATES: Follow this blog for all the updates. This Friday witnesses the release of Batti Gul Meter Chalu and Manto. Batti Gul Meter Chalu stars Shahid Kapoor, Yami Gautam and Shraddha Kapoor in lead roles and is directed by Shree Narayan Singh. The film deals with the issue of inflated electricity bills in smaller towns. Manto, starring Nawazuddin Siddiqui in the titular role, is the biopic of writer Saadat Hassan Manto. Batti Gul Meter Chalu talks about the privatisation of electricity in cities and how inflated bills have affected the common man. Director Shree Narayan Singh is known for tackling relevant social issues. He dealt with the problem of sanitation in his previous film Toilet: Ek Prem Katha. Manto is a biopic which has already received much acclaim at various international film festivals. Directed by Nandita Das, the film stars Nawazuddin Siddiqui, Rasika Dugal, Tahir Raj Bhasin, Javed Akhtar, Rishi Kapoor and among many others. Follow all the latest updates about Batti Gul Meter Chalu and Manto. @shahidkapoor @yamigautam @ShraddhaKapoor #BattiGulMeterChalu opens to average collections in the Morning shows. #Manto opens with extremely poor occupancy at the box office. Film is merely registering 5-7% occupancy at plexes. Need to show good growth from noon & evening shows to go past ₹ 1 cr nett today. Actor Yami Gautam, who plays a lawyer in Batti Gul Meter Chalu said, "I am glad to be a part of a film like Batti Gul Meter Chalu. When the audience will see this film, they will realise the gravity of this issue because normally we discuss it and then we move on, but I think cinema is such a strong medium which enables people to start a dialogue among themselves. In future also, I would love to be part of such issue-based films." Sacred Games writer Varun Grover sent his wishes to the team of Manto by sharing memories from his childhood. Over he series of tweets and along with the poster and the photo of the Manto, Varun wrote, "I don't remember the exact year i heard the name MANTO for the first time (was probably 10/11 years old, 1990/91) but i remember the feeling in the room. The name was taken with a mix of scandal and respect in a gathering of adults. The name stuck like all forbidden things do. Later in college i discovered his books. It was mildly disappointing at first because there was nothing titillating there. Was i reading the right Manto? It was shocking, powerful, and deeply sensitive but it didn't smell of cheap thrills. It smelt of liberal thoughts set free. The film releases today in theatres and it captures the restlessness, suffocation, anger, and tenderness of being MANTO in some brilliant strokes of writing and performances. Absolute must watch this week. The afsaana-nighaar lives on. " Manto director Nandita Das replied to Manmarziyaan helmer Anurag Kashyap's tweet. She wrote, "Many thanks Anurag for your support and good wishes for #Manto. You and I have also fought some of the same battles and many others even more. Wish you the best for #Manmarizyaan this weekend we could both see each other's films! Looking forward." Hansal Mehta tweeted, "All the best @nanditadas @Nawazuddin_S and the entire team for #Manto. This one must be seen." Rasika Dugal who plays Manto's wife Safia in Manto told indianexpress.com, "I always say that I’m never nervous about working with good actors, I’m nervous about working with bad actors. Good actors always understand that a scene is not about one person, a scene is about what two people experience with each other. Both of us had a quiet understanding of each other’s process and I, of course, have a lot of respect for him as an actor and despite being much more established than I am, he responded with the same kind of respect, so I can only be grateful." Shraddha Kapoor told indianexpress.com, "It’s always a blast working with Shahid. Aside from being a fan of his work, he is also a friend. Also the fact that you know there’s a comfort knowing him. I was very excited mostly because this time, the fun aspect of the film was something I was looking forward to. He has got this side to him which is completely bonkers." Director Vikramaditya Motwane tweeted, "A film about a writer who died more than 60 years ago is the most relevant thing you’ll see about freedom of expression today. #manto releases today. Please watch." Nandita Das told indianexpress.com, "I’m hoping it releases in Pakistan. I am very keen that it does. Manto is a writer who belongs to both India and Pakistan. So, let’s never break him. They are also waiting to see Manto." Shahid Kapoor said, "It’s wonderful that writers and directors are taking initiative to find stories which need to be told. Maybe a few years back if we had made this film, it would be a little more restricted. But I don’t think people consider films which have something substantial, non-commercial anymore. In today’s time, films which deal with issues from the heartland of the country actually help it to reach out to a wider audience." After the controversy of Manmarziyaan, Anurag Kashyap wished all the luck to the team of Manto. He tweeted, "And “Manto” comes out today.. if he was alive today .. he would still be fighting the same battles . All the best @Nawazuddin_S @nanditadas @RasikaDugal @rajshriartist"
Trade analyst Girish Johar told indianexpress.com, "Manto is a niche film and thus has a limited audience. So, it is expected to do a business of less than a crore. However, the film has received great reviews at international film festivals and it should find the right audience in India as well." Sampada Sharma from indianexpress.com on Manto, "Nandita Das weaves the story of Saadat Hassan with Manto in a fine manner. Das does not succumb to the biopic pressure, where we usually find directors worshipping their subject. Nawazuddin Siddiqui is at his best and the actors who appear only for a few scenes, mainly Gurdass Mann, leave you in awe." Trade analyst Girish Johar predicted a box office collection of Rs 5.5 crore for Batti Gul Meter Chalu on the first day of its release. He said, "Desi stories always connect well with people. Also, a social issue relating to a common man’s fight against power distribution companies will pull audiences to cinema halls. The film has a combination of good cast and director which increases the chances of its positive outcome at the box office." Saadat Hasan Manto was born to be filmed. His life and much-too-early-death teems with so much drama, and is drenched in so much history, that it is surprising the movies took so long to put Manto in the centre of his own narrative. Shruti Seth attended the screening of Manto and tweeted, "Thank you for inviting us to this absolute cinematic treat @TahirRajBhasin @RasikaDugal @Nawazuddin_S . Every single frame of @manto has been so delicately crafted by @nanditadas & her crew. And every actor is flawless. Please watch it. It’ll make you love the movies some more."